LawBreakers, Cliff Bleszinski's Game, is a 5v5 Free to Play | Nerd Much? 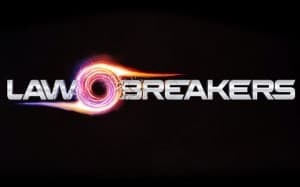 Formerly known as Project Bluestreak, LawBreakers has been announced as the official title for Cliff Bleszinski’s new game. Bleszinksi’s Boss Key Productions revealed this afternoon that LawBreakers will be a free-to-player shooter set in a futuristic world that’s been changed by the destruction of the moon via an event known as “the Shattering.” The Shattering, which was caused by government testing on the lunar surface, dramatically altered the Earth’s gravity which ultimately allows for its manipulation through advanced technology. That technology was stolen by powerful gangs, forcing law enforcement agencies to battle their invasion into the US. The game will have two sides (seemingly officers vs. gangs, although we’re not yet sure), and each side will have “subfactions.” The game will be loaded with “tons of guns” with a variety of different weapon types, both old and new. We don’t have much to go on right now, but LawBreakers gameplay is set to debut at 9AM EST on Friday, August 28. Boss Key will have the game on display at PAX Prime this weekend. There’s no word on a release date, but we can fully expect a beta sometime soon. For now, check out the reveal trailer below.